Feast your eyes on a sumptuous reimagining of the Christmas carol beloved around the world. Each day brings a new gift, and just like the verses of the song, all of the earlier gifts are repeated – and hidden on every page. Search for golden rings, turtle doves, and all the rest, secretly tucked into the breathtaking artwork. Look closely. Can you find them all? Laurel Long's magnificent style makes this exquisite volume a Christmas treasure that will be cherished by the whole family for years to come. Here in Adelaide we have had the Christmas Pageant, and that means it’s not too early for a Christmas book. I have been wanting to have a rave about this book since I first saw it a couple of months ago, but it felt wrong to start talking Christmas in September. 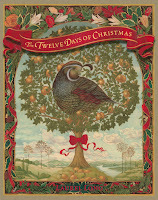 Your first reaction to this title may be, ‘Oh, another book about the Twelve Days of Christmas’. That’s a fair point, there have been plenty of books based on the song, and you may feel like the last thing you need in your library is another one, but let me tell you, you MUST have this one. There are so many amazing and unique features to this book, that it’s not easy to know where to begin. The illustrations are beautiful, rich and detailed. 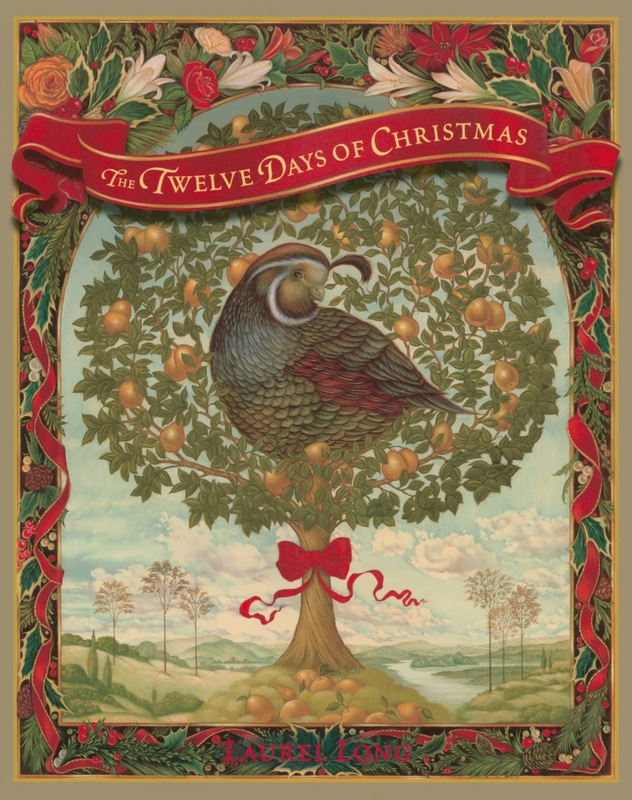 When you look closely at the pictures you start to see the real magic, you think to yourself, ‘hey that looks like a bird in those waves’ and then ‘there are two birds on that ornament’, it’s then that you realise all the twelve days of Christmas are hidden in the pages. On the second page, the partridge is hidden, on the third page, the turtle doves AND the partridge are hidden, and so on until you reach the end of the book, and all of the ‘days’ are hidden. It is truly remarkable, it is just one of those WOW books. As I said this books is filled with the mast amazing illustrations, and that’s even before you realise the depths that include the ‘hidden things’, even without that aspect, this book is still an absolute stunner that should have a place on your shelf. The author and publisher have thought of everything, because if you are having trouble finding everything hidden within the pages, on the reverse side of the dust jacket, there is a visual key, to show you where to find everything. For the musically inclined, there is the music for the carol printed at the back of the book. There is also an Author’s note at the back of the book, I am a fan of the author notes, as I like to hear about the ‘why’ behind the stories.